buttonbox designs: Next Project...as if I have time! I am rediscovering my love of mom-blogs that have ideas on, hmm, pretty much everything. 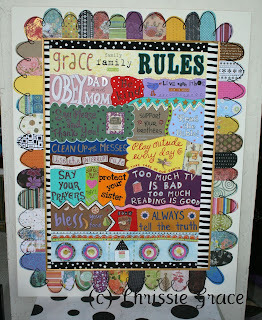 A project that I stumbled upon today, that I am SO going to do...someday, is "Family Rules". It looks doable. All I need is some Modge Podge, the best source of free fonts online (yay dafont! 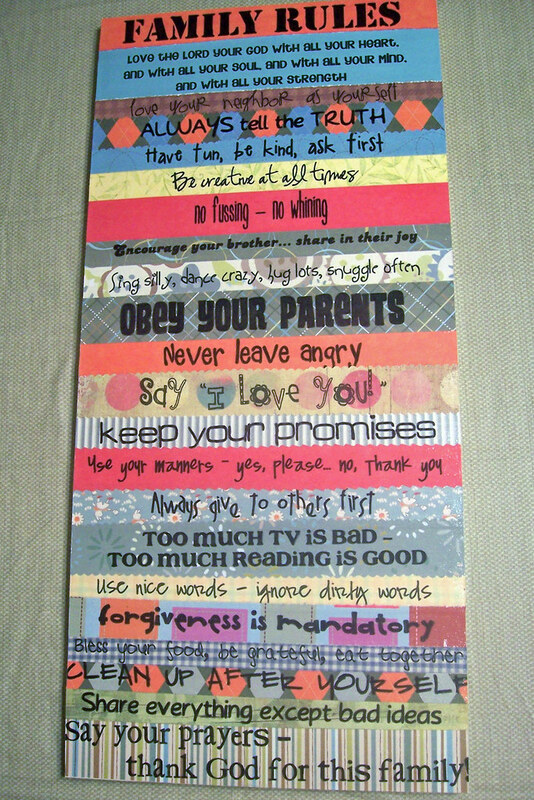 ), some scrapbooking paper (I do have lots, but I might splurge and buy some specific prints that will highlight my future renos I have planned for my kitchen... again, someday), a canvas, and, oh yeah, the thing I lack most: TIME. Here are some other people's finished product that have inspired me.